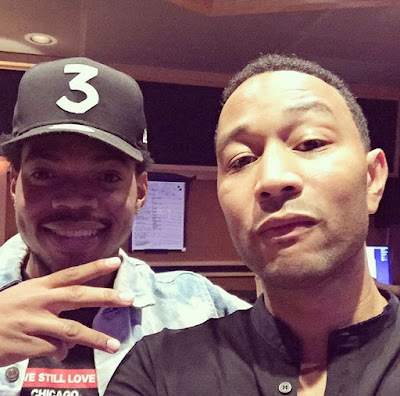 RAW HOLLYWOOD : JOHN LEGEND CALLS ON CHANCE THE RAPPER TO ASSIST WITH NEW TRACK "PENTHOUSE FLOOR"
JOHN LEGEND CALLS ON CHANCE THE RAPPER TO ASSIST WITH NEW TRACK "PENTHOUSE FLOOR"
John Legend has been releasing new music these last couple of weeks. This time he released his newest track titled "Penthouse Floor", which features Chance The Rapper. The song will be featured on Legend's upcoming album Darkness and Light. "Penthouse Floor" is a smooth track that is a perfect song to hustle or ballroom to (it's the Detroit in me, sorry). Legend sings, "Go to the penthouse floor, lets ride the elevator, it's what we've been waiting for, we'll tear down the penthouse doors" over a beat with a strong bass. Then, Chance comes through and drops a playful verse that includes a knock-knock joke. John Legend's album Darkness and Light is set to be released on December 2nd. Before the album drops though, you can catch the singer performing at the AMA's, which will be airing on this Sunday, November 20. Will you be watching? Check out "Penthouse Floor" below!